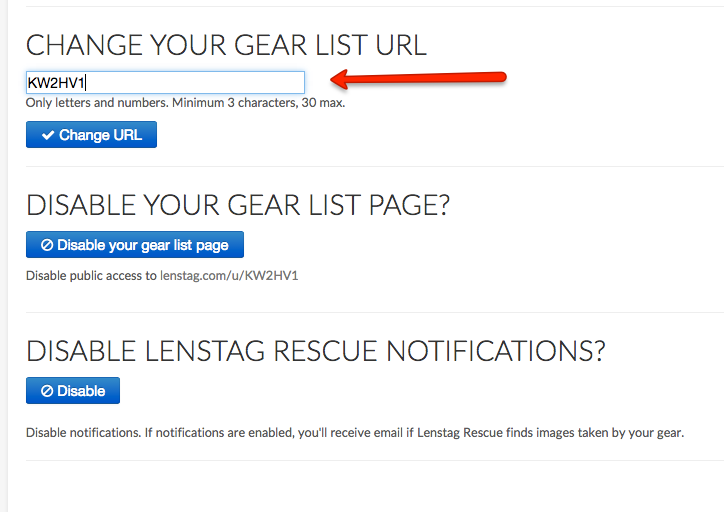 From the dashboard of the browser version of your Lenstag account, click on “Model” to automatically alphabetize your gear list. You can also organize your list by Status and Date Added. From the browser version of your Lenstag account, click on the Value section. From there, you will see which items don’t have pricing at all. Click on the “edit” button. 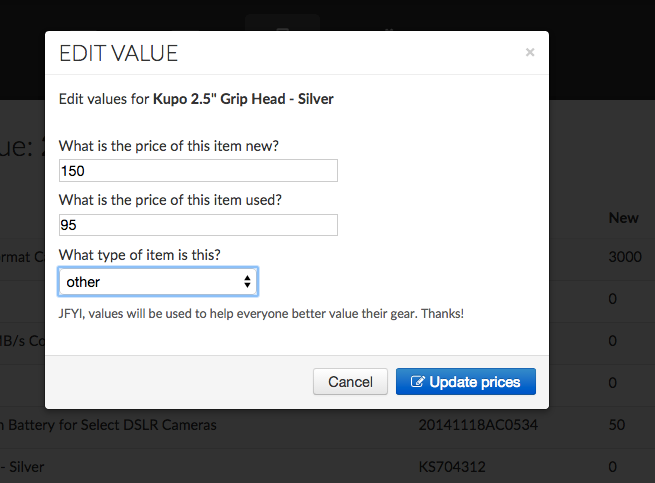 You can then set the “new” and “used” prices of your item. This is particularly handy for antique cameras with varying values. You can also edit Lenstag’s automatic value figures for each of your items. Change the random string of characters at the end of your gear list URL to something more meaningful, like your name or the name of your business. Share this list with clients or anyone else who needs to see what you own. Visit “Settings” from the browser version of your Lenstag account.